A spinner is active. Please wait while the page completes a task. Just plug in the cable and adapter, mount the camera and go. 130° view shows your home in 1080p HD, day and night. Get activity alerts so you know if anything happens while you’re away. With this weatherproof security cam, you can make sure your home is safe when the sun is shining and when the clouds roll in. 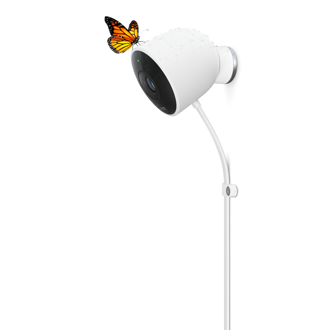 The Nest Cam Outdoor doesn’t take a raincheck during a storm; the camera, cable and adapter are all weatherproof. Scare off a suspicious visitor when you’re out, or ask the delivery man to leave the package at the door with the built-in speaker and mic. 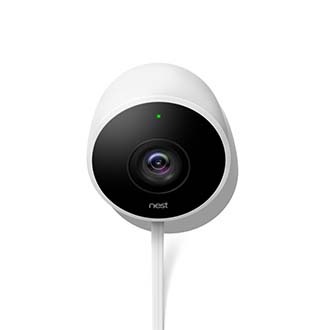 With Night Vision capabilities, the Nest Indoor Cam can evenly illuminate the whole room when it’s dark. See the view from each Nest Cam you have, and use Clear Zoom to take a closer look and make it sharper. Check out the live video stream to see what’s happening when you’re away. You can see snapshots of events that happened in the past three hours. No matter which Nest products you have, or how many different types of phones and computers your family uses, you can manage them all with the app. Invite up to nine people to share control of the Nest products in your home using their own Nest accounts. 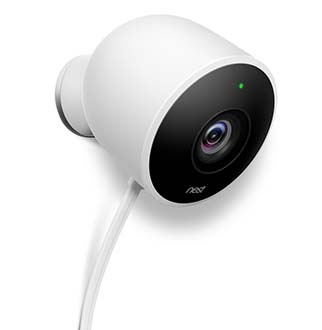 Nest works with most Apple or Android devices. Check device compatibility here. Nest uses very little data but pairs well with a TELUS phone plan. Manage your Nest product features and options all in one place. The Nest Cam Outdoor helps you look after your home — 24/7, rain or shine. You don’t have to be a TELUS customer to enjoy our stores. From setting up a fitness tracker to virtually connecting your home, our Learning Centre experts can help you get the most out of your devices.